The Wheel of Wellbeing is a visual framework made up of six universal themes that underpin mental (and physical) health and wellbeing: body; mind; spirit; people; place; planet. Based on the principles of positive psychology, it is a simple approach to promoting positive mental health and wellbeing, please see www.wheelofwellbeing.org for more details. The Wheel of Wellbeing was initially developed by the Mental Health Promotion Team at South London and Maudsley NHS Foundation Trust (SLaM), who have used it in a range of contexts. Since 2016, the McPin Foundation have been working with SLaM to develop an evaluation framework for the Wheel of Wellbeing. As the promotion of positive mental health and wellbeing becomes a public health priority, it is important to understand more about the theory behind wellbeing programmes, and look at whether they are having an impact – so that commissioners and service providers can learn about what works, what can be improved, and how they can invest in the most effective projects. We are developing an evaluation framework for the Wheel of Wellbeing. 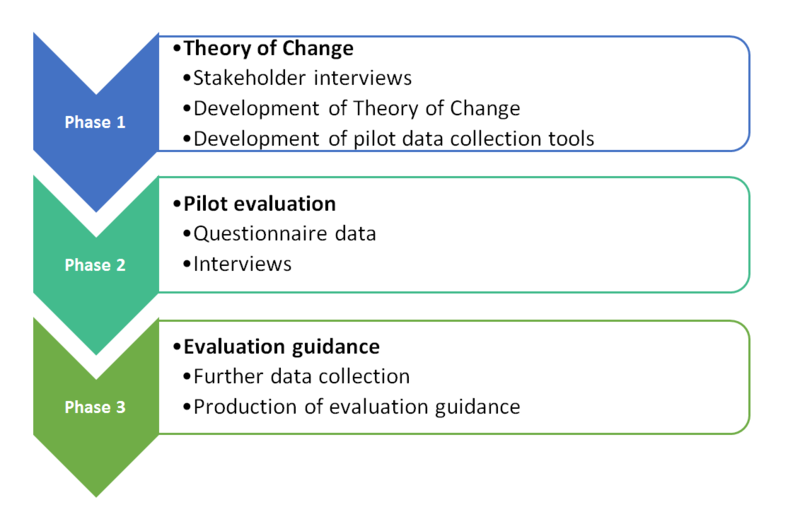 This involves creating a Theory of Change for the model (available to download above), developing data capture tools and piloting these, and finally, producing an evaluation guide for organisations who wish to use the Wheel of Wellbeing in a range of contexts. The project began in August 2016 and is due to end in August 2017.